Hey, hardware firms! Cut the crap! Imagine. You've saved up for years, and at last you can afford the car of your dreams. You've done your homework, chosen the best specs, picked the best colour combinations and haggled for the best deal. It's tasteful. Subtle. Classy. And when you turn up to collect it there are plastic eyelashes on the headlights, green fur covers on the seat and LOOK AT ME I AMS FAST down the side in luminous green letters. "What the hell's happened?" you ask the salesman. A friend of mine bought an Asus Zenbook this week. 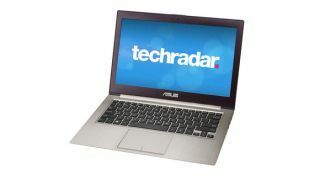 It's a nice bit of kit, a sleek and sophisticated ultrabook for power users, and it came absolutely stuffed with crap. Notebook Heavy has the full list, which includes not just the usual suspects - an Office trial, the Windows Live programs, anti-virus stuff and so on - but a whole bunch of Asus software too. There's FaceLogon, and LifeFrame3, and PowerWiz, and of course Splendid Video Enhancement. Getting shot of it all took many hours and even more expletives. As my esteemed colleague Richard Cobbett points out, unwanted software is a real problem. "There is no excuse for new PCs to come piled up with antivirus trials, built-in helper apps and all that other nonsense," he says. There's an argument for third party apps at the very bottom of the market - they pay a few pennies that the manufacturer can then lop off the sticker price - but increasingly it's the manufacturer's own software that's the problem. Unless Apple's paying them to put it on - and I can imagine Tim Cook going "they've agreed to the Splendid Video Enhancement one! Hoo boy!" - then they really need to stop. The problem isn't just limited to traditional computers, either. It's in tablets, and phones, and even printers. Time and time again, manufacturers add their own software and make an arse of it. I experienced it myself this week. In a triumph of optimism over experience, I bought a wireless printer this week. In its infinite wisdom, HP decided that the best way to connect it to a wireless network - nothing else, just to get it to find an open Wi-Fi network - was to install software that wasn't compatible with my system, navigate a hopeless support site to find a version that was compatible, install it, let it set up its own ad-hoc wireless network, break my internet connection, fail to set up the wireless printer properly and ultimately force me into the advanced settings of my router to increase the DHCP lease time. This is a printer aimed at average punters. I understand what the firms are trying to do: they're trying to make things simpler, to make our PC experiences happier, to make their products more fun than their rivals'. But all too often, I'm reminded of the elderly lady who attempted to restore a painting of Jesus, turning it into what the BBC describes as "a crayon sketch of a very hairy monkey in an ill-fitting tunic". Just because you mean well doesn't mean you're any good at it.